Have you got Google Earth on your computer? If so, then download the Google Earth view of Villa Belfast. Is this the wrong position for Villa Belfast? If you think so, then modify its position. Click / Tap the button above to get directions from where you are to Villa Belfast. If you want good music and a rubbish night club experience then Villa is for you. Upon arrival I had to wait in a queue for around 30 minutes once we got in side we where charges �£6 on entry dispite being on guest list and being told that it had ended even though are tickets clearly said valid until 2.30am. Then when we went on in it was empty even though we where made to queue for 30 minutes which makes no sense! Been here plenty of times this year (2015-2016) and think it's a great place! Can be a who you know for VIP etc, but the bar downstairs is great for a few seats and dance, while upstairs (be early if you don't want to queue) is just club and VIP. Taxi's normally outside and if you don't get in, there are lots of places nearby to visit in the cathedral quarter. Bouncer ruins night on the basis of assumptions, the bouncer I went to asked for id and so I provided it then the bouncer beside him asked if I'd met him before and when I assured him he hadn't, he still was sure he was correct and said it wasn't me even though the other bouncer tried to convince him it was me. The bouncers here obviously feel that they are the final judgement and can therefore refuse you entry if they do not like you or recognise you. Anyway I have a kebab and more money, therefore I am happier than I would be if I had spent my night at this "club"
My daughter and her friends attended this night club on saturday 13th Dec. they had a decent night. she came outside to phone a taxi and then tried to go inside to get her coat and was told by the bouncer that the she was not aloud back in. she told him that her coat was in the cloakroom. he still would not let her in.The taxi did not come for an hour and she was left standing outside in the freezing cold. What sort of establishment are you running. she has never been treated like this in any any other club in the town and after this incident I dont think her and her friends will return. Its like what bob marley said. You can please some people some times. But you can please every body all the time. To be honest folks theirs not much trouble in this club.with most people that are put out its just the too drunk to walk thing. The bouncers are a friendly bunch with good team sprit with blokes from both sides of the community so theres not that factor of which foot you kick with thing here. All are welcome aslong as you behave with respect and decency you will have a good night. Due to attend villa tonight for a friends 21st birthday party, pre booked a vip table which may i state we were paying �£130 for to arrive and have the bouncer laugh in our faces literally at 1st we thought he was joking he continued to laugh and we said really he said yeah no nope, and when asked why had no valid reason as we were appropriately dressed, etc! How dare the bouncer laugh in out faces! We had read negative reports before we arrived and thought well give it a go, well i can assure you the reviews are right!! They have removed the review bit on there facebook page because they no for a fact that 99.9% of the reviews will be negative!! Do not be fooled people! They are rude, ignorant and unprofessional of the highest stranded I've partied in belfast for over 5 years and never in my life have i been spoke to or treated like that! I can assure u one thing they keep that up and there business wont last for long as they are surrounded by many nightclubs with friendly bouncers and cheap prices and a brilliant night out! Best of luck to them! Hahah! I was appalled at the service in this club. waited over 20 minutes for a drink . after paying £7 in I would of expected more staff to be able to serve customers. Doesn't seem to know what it's trying to be. Totally uninspiring, I've forgotten my night in it already and it was only 3 days ago. Upon walking into the club it feels as if they've taken bits of what's great from other venues in Belfast and added them together. The result is something that feels uninspired and didn't work for me but they may soon realise this and make changes. 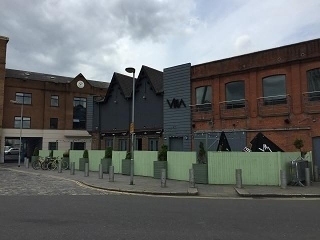 I didn't get the impression that this is the "luxury nightclub" it was advertised as, coupled with the usual drinks promos/typical generic DJ's playing the kind of chart rubbish you'd hear in the likes of Box (which also started off with the intention of being a luxury/VIP club). I just fail to see what they're adding to the nightlife here, however that may change. This may sound harsh, however I am simply using the fact that this is advertised as a luxury club that is really going to shake up the scene as a reference, and for me it failed to live up to that expectation on my visit. Was here at the weekend for their grand opening. Overall not really impressed. The finish from the wooden structure outside to the exposed concrete slabs inside all feels a bit cheap. The lighting and sound was all a bit cheap given how much standards have improved of late.Service at the bar was very chaotic and slow but we can put that down to it being their first night hopefully. Worst thing though was the crowd, first night and it was pretty rough, only going to go downhill from here. As we were leaving there seemed to be some problem with lots of police outside. This didn't feel like a VIP club at all. Very disappointed, was hoping for an alternative to EL DIVINOS but alas no.